Stellar has had an excellent week at both the fundamental and technical levels. The platform, known as Ripple’s decentralized competition, has seen a considerable increase in its market cap as well as a growing credibility in the general business markets. A few days ago IBM mentioned that they would be working on their own stablecoin based on blockchain technologies. Stronghold USD will be a cryptocurrency backed one-to-one by fiat US Dollars held at Prime Trust, a bank with which IBM has a solid partnership. Being Stronghold a payment platform running on Stellar, it is safe to think it can boost no only Stellar’s credibility but also its institutional adoption. After this news broke, Stellar started a bullish streak that took it to number 6 in the global market cap, overtaking Litecoin from its position. From a fundamental point of view, Stellar could represent a good investment option in the medium term. IBM’s announcement gives the platform institutional credibility not previously held. 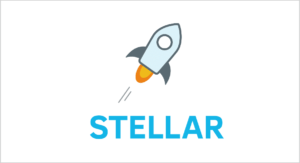 Stellar can capitalize on IBM’s strong image to consolidate itself as an attractive option for institutional investors who are not familiar with cryptocurrency but are familiar with IBM’s business. 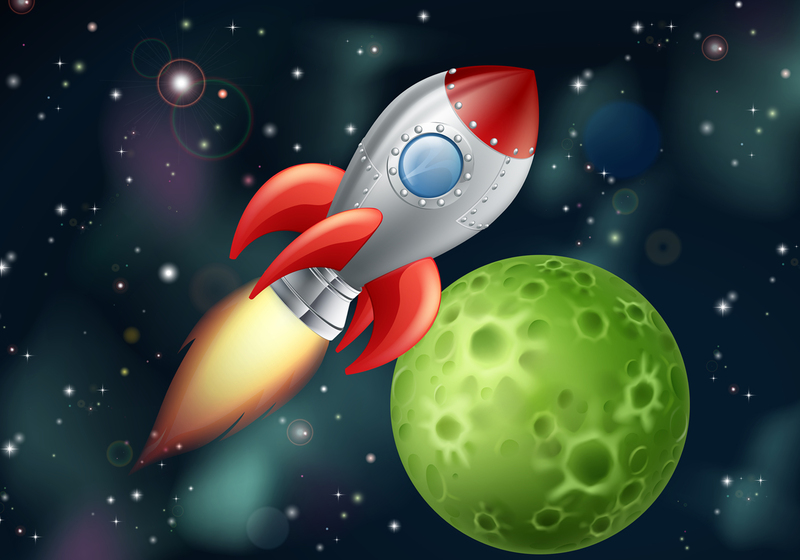 Similarly, such an adoption can generate an overall effect of “self-fulfilling prophecy.” After realizing about increasing trading volumes, many investors would be more willing to add Stellar Lumens (XLM) to their portfolios, helping to further promote an increase in the value of the popular cryptocurrency. 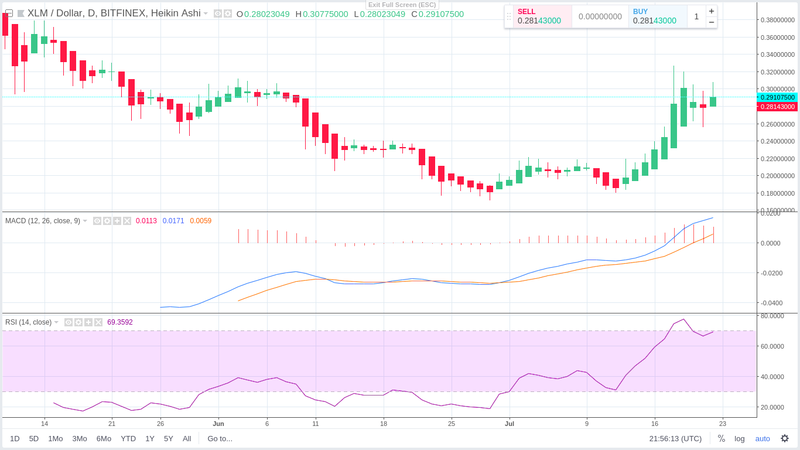 Stellar Lumens (XLM) Bullish Technicals. 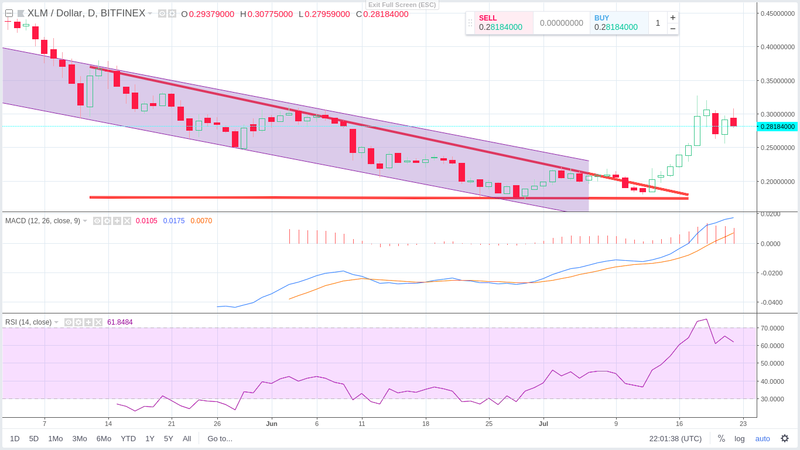 From a technical point of view, Stellar Lumens (XLM) has performed well over the last few days. The drag that Bitcoin (BTC) exerts on the rest of the altcoins is somewhat obvious; however, the bullish trend seems stable, at least in the short term. Heikin Ashi candles show a bullish trend with no indication of a change in the next few hours or days. In fact, it is possible to observe how a slightly bearish glimpse was quickly dissipated in a short time. MACD stays high with no sign of a reversal yet. The indicators have no crossover prospects, so it may be worth buying for a small gain in a short time (riskier), or at least hodling until a change in trend occurs (safer).